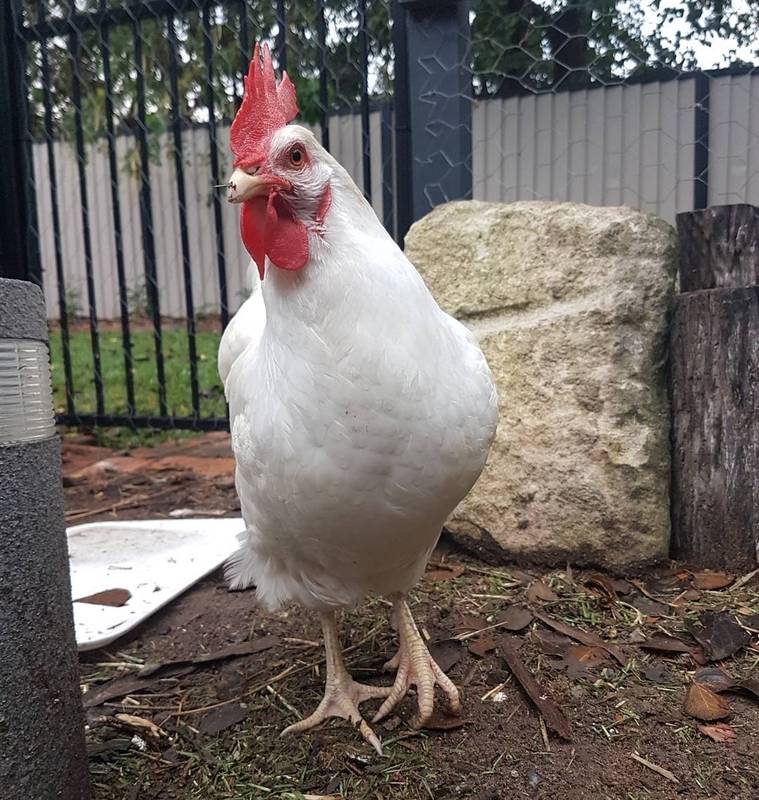 Phyllis is a 5-year old white leghorn hen who has lived with Justine (her loving human) in Brisbane, Australia since she was 4 months old. 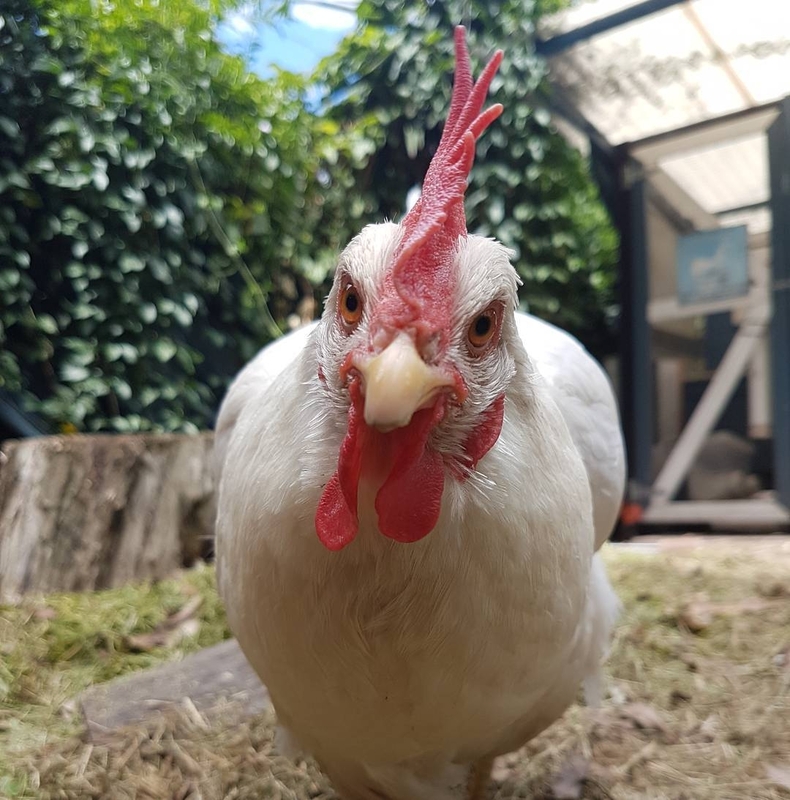 She is the oldest of the flock of three hens. 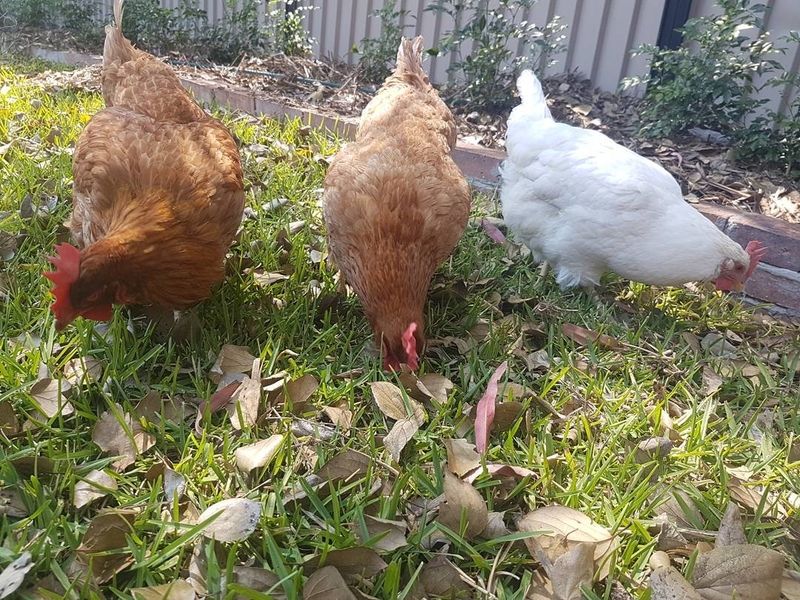 Her two flockmates, Bea and Edna, are both 4-year old ex-battery hens who Justine has had for 2.5 years. During the daytime, the girls are kept in a fenced in run and from dusk to dawn are closed up inside their coop to sleep. They also have regular access to their coop during the daytime, so they can lay their eggs in the nestboxes. 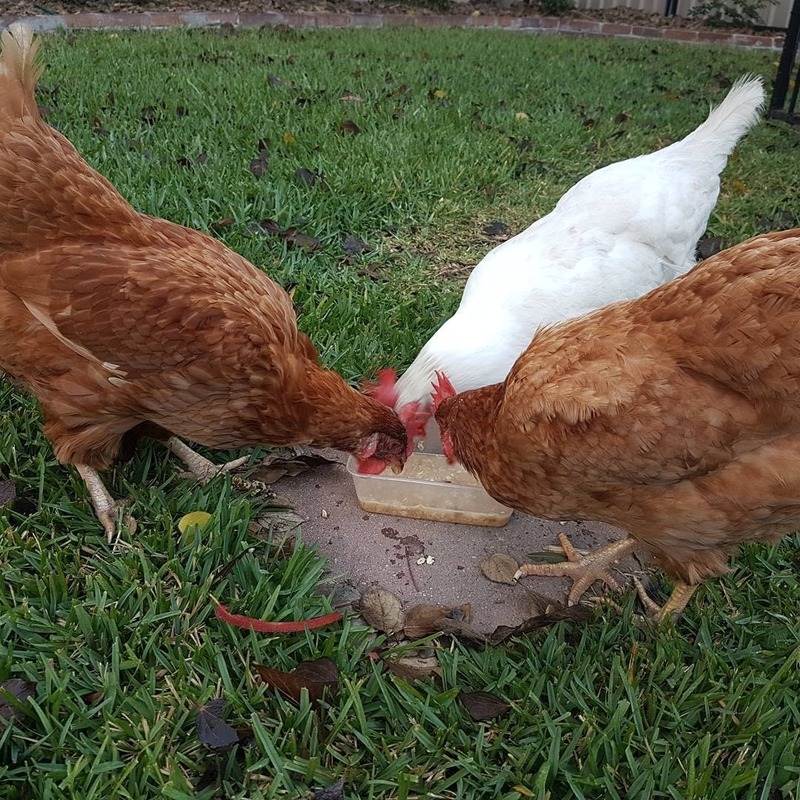 The girls keep to a clearly defined pecking order, where Phyllis is naturally the alpha hen in charge. 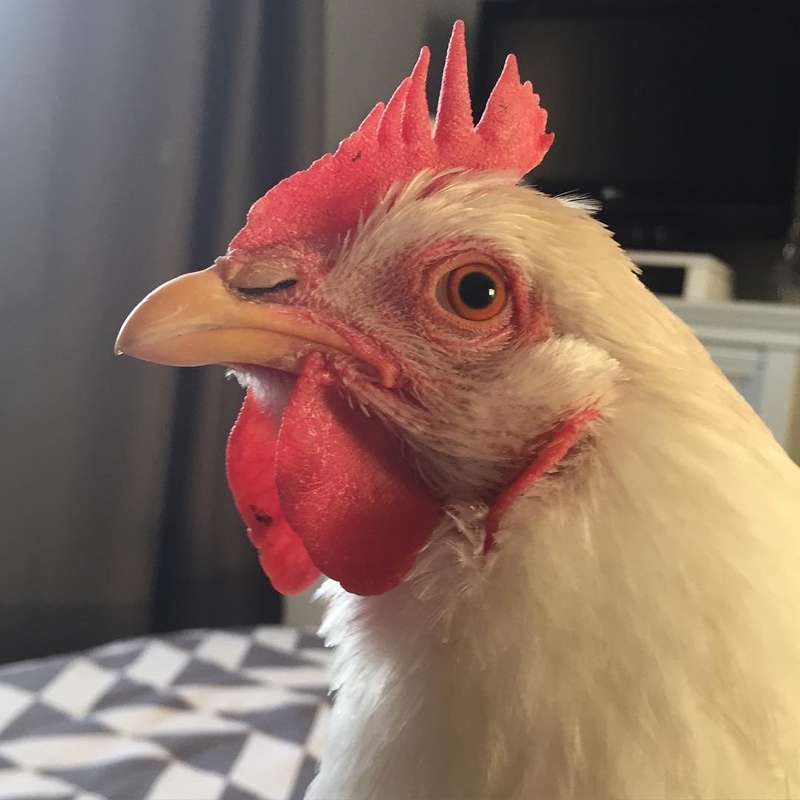 Phyllis has a history of having egg-related reproductive problems. 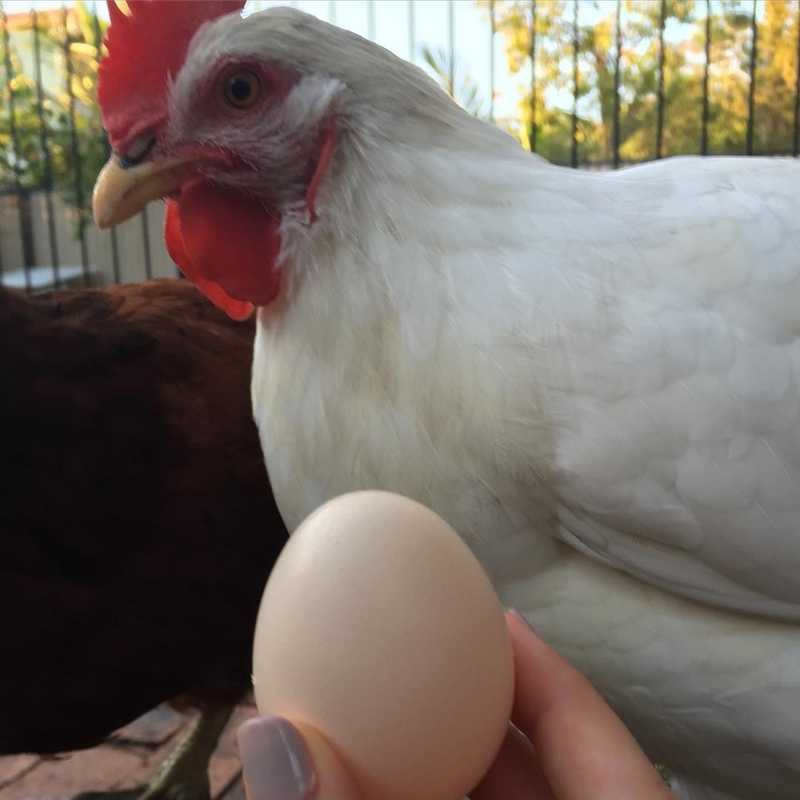 She first started having issues with egg laying when she was 2-years old. 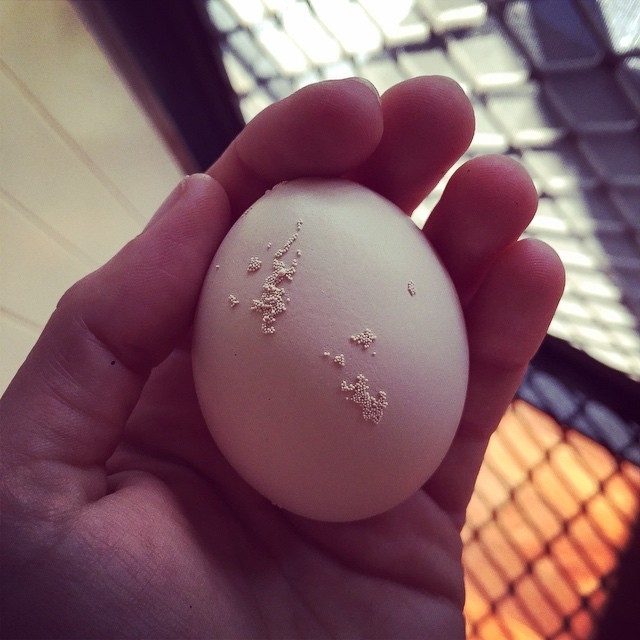 Phyllis would frequently lay shell-less, and sometimes, calcium-coated eggs. 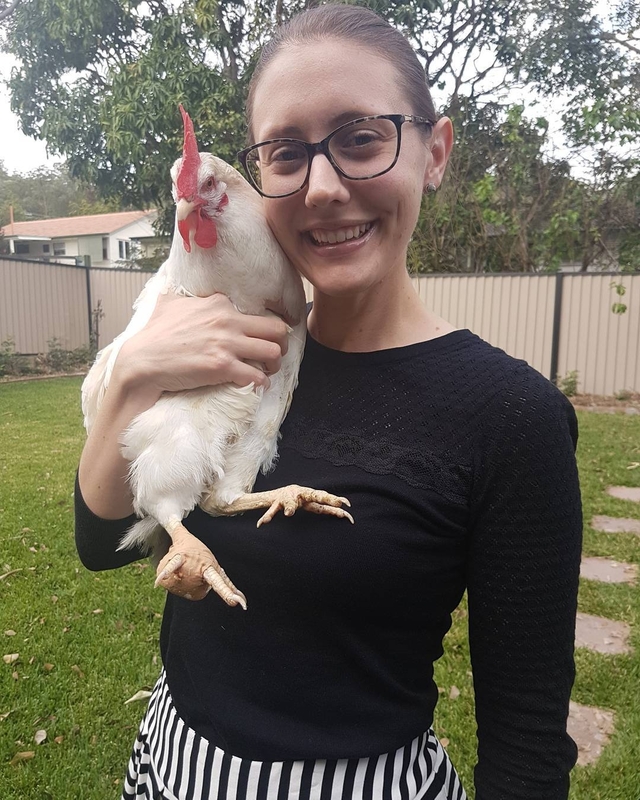 After bringing her to see the avian specialist veterinarian at Brisbane Bird and Exotics Vet Services (BBEVS), Phyllis was diagnosed with salpingitis caused by a bacterial infection. 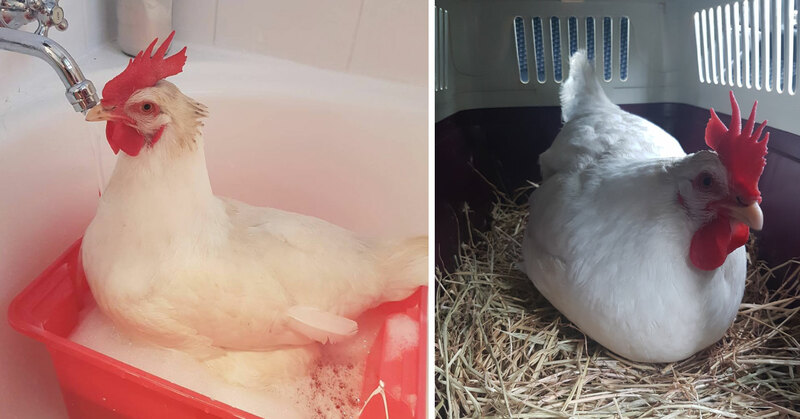 She was treated with a course of antibiotics and successfully recovered without any complications. Then, 4 months later, the same thing happened. Another course of antibiotics and she was fine. 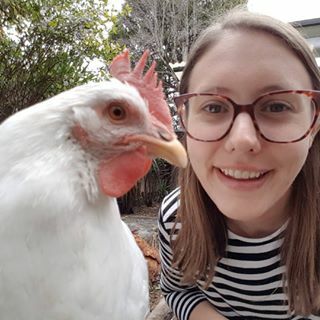 2.5 years passed since Phyllis recovered from her last reproductive tract infection. 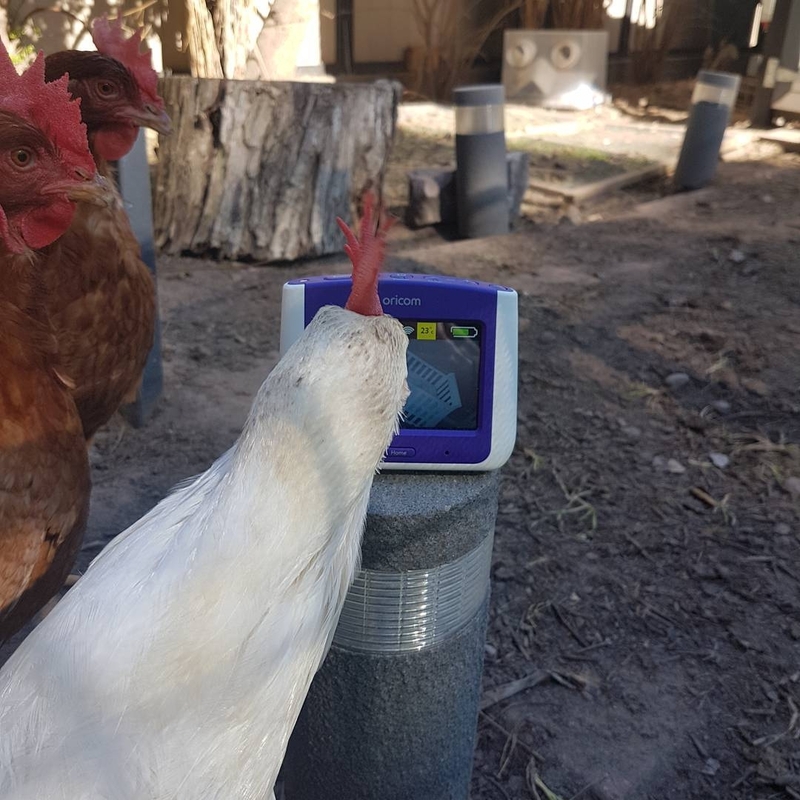 Then one morning, Justine went to check on the hens, when she discovered Phyllis was not her normal active self. 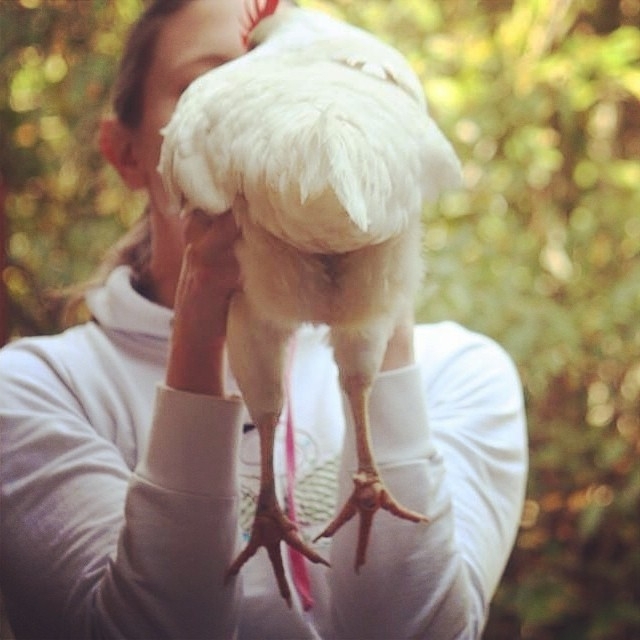 The little hen was hunched over, miserable, with egg matter covering her feathers of her vent. 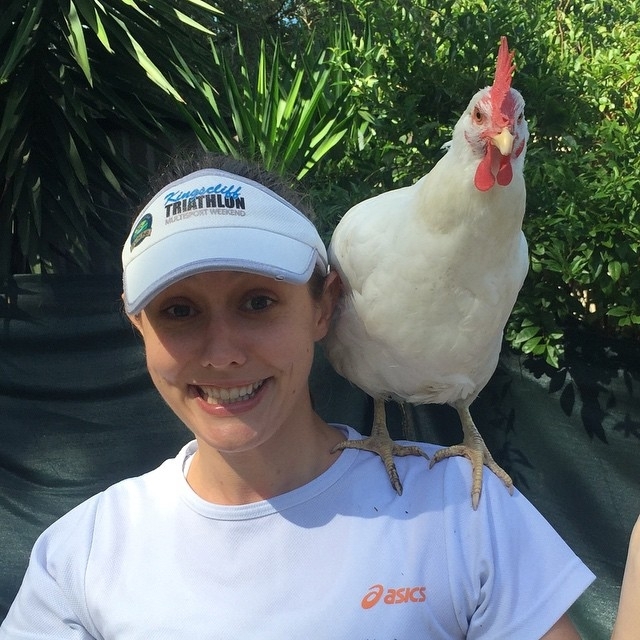 When Justine tried to give her something to eat, she showed no interest in eating. Justine immediately called her veterinarian to schedule an emergency appointment with her to see Phyllis. She was able to bring Phyllis into the vet that same day. 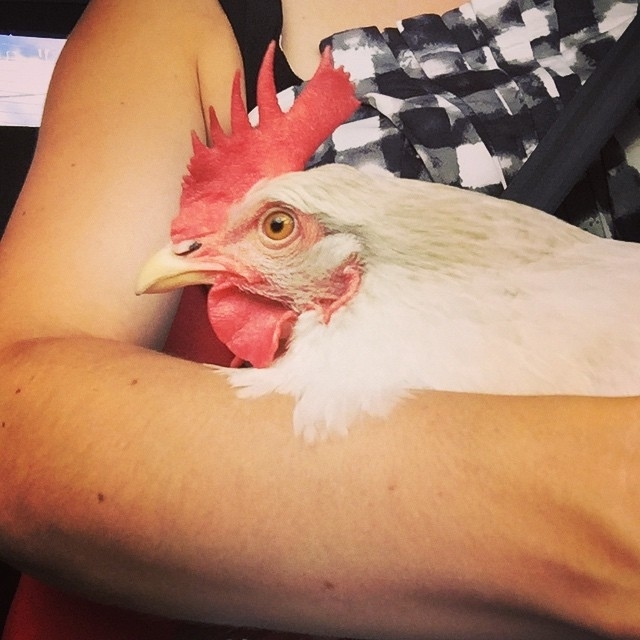 Upon arrival at BBEVS’s vet hospital, the doctor conducted a physical exam, ran some blood tests (CBC and blood chemistry), and took radiographs of Phyllis’s abdomen. Since the hospital performs some blood tests in-house, in their diagnostic lab, the doctor was able rapid results. The blood tests revealed the presence of a low level infection. The radiographs showed evidence of inflammation of the oviduct (salpingitis). Although the cause of the inflammation wasn’t determined, due to Phyllis’s prior history of reproductive problems, it was highly suggestive that it was associated with an abnormality in her reproductive system. 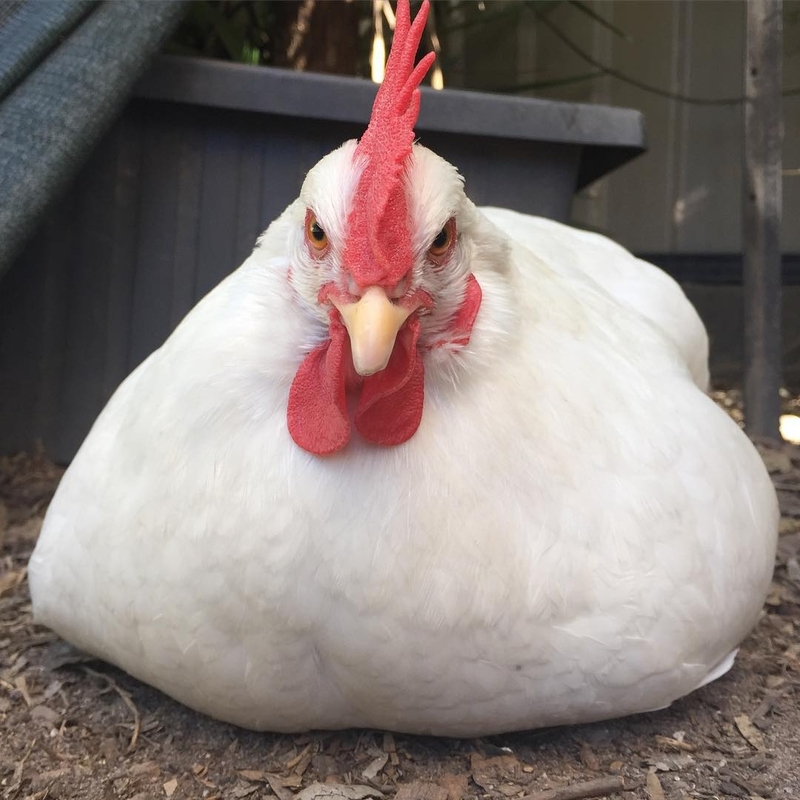 The doctor recommended that they start Phyllis on hormone implants (Suprelorin), to help to prevent further egg-related infections from occurring. After administering the subcutaneous hormone implant in Phyllis, the doctor recommended she remain overnight at the hospital. 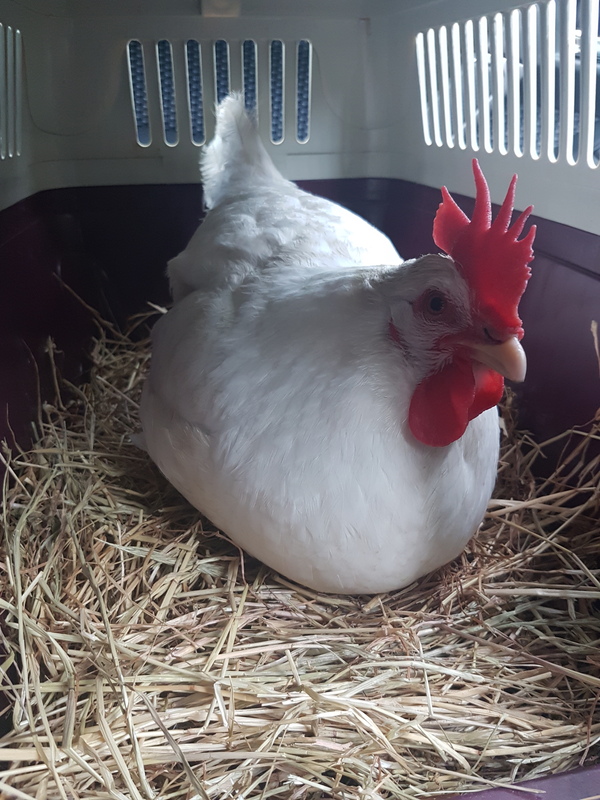 Since the hen wasn’t eating and mildly dehydrated, the doctor wanted to help provide her some extra support by administering Ringer’s lactate solution and syringe feeding her dinner, since she wasn’t eating on her own. The doctor also started Phyllis on a course of antibiotics (Noroclav) and anti-inflammatories (Meloxicam). 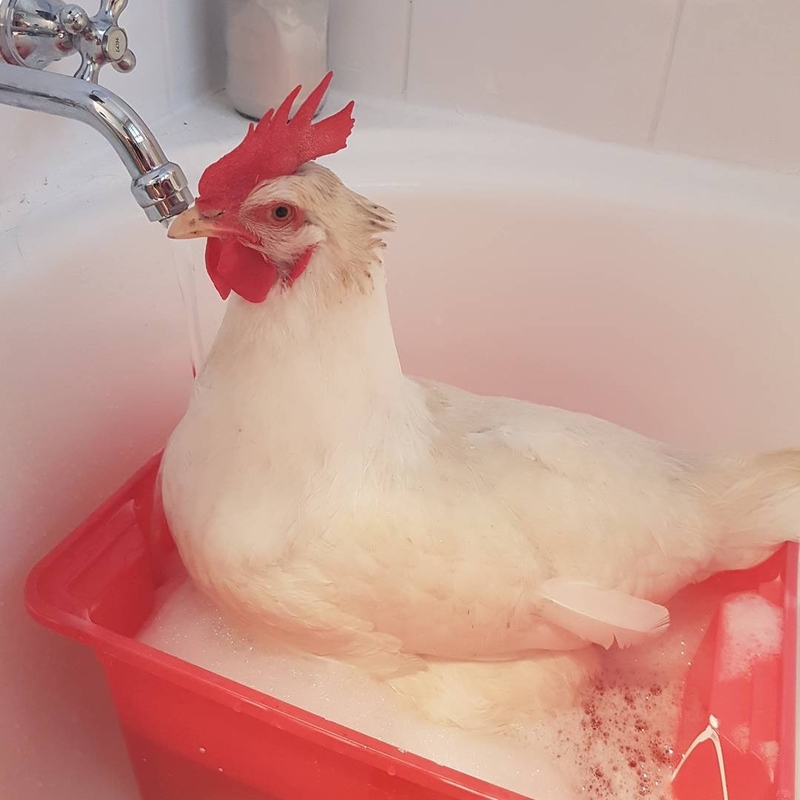 After receiving the 7-day course of antibiotics, Phyllis was back to her old self again. 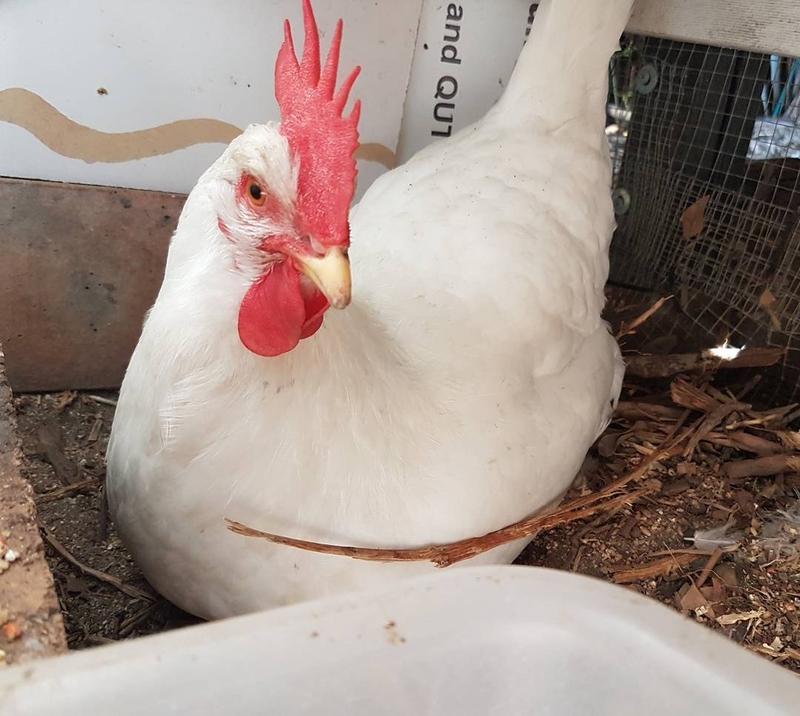 Phyllis is also no longer laying eggs, due to the hormone implant—well for at least the next 3-5 months, in which Justine will make another appointment with her vet to administer another hormone implant to continue to stop her form laying anymore eggs. 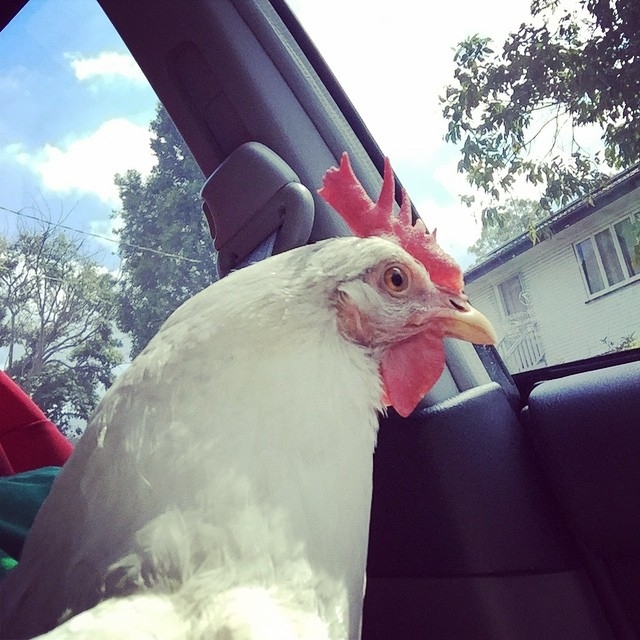 Follow Justine, Phyllis, Bea, and Edna on Instagram at @chickensrun! 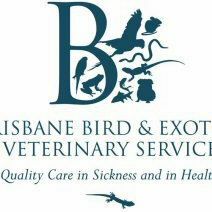 Brisbane Bird and Exotics Vet Services (BBEVS) provides veterinary services exclusively to owners of birds and exotic pets. From parrots to turtles, guinea pigs to lizards, their practice is specifically equipped and staffed to ensure that your pet receives the best care and treatment available. 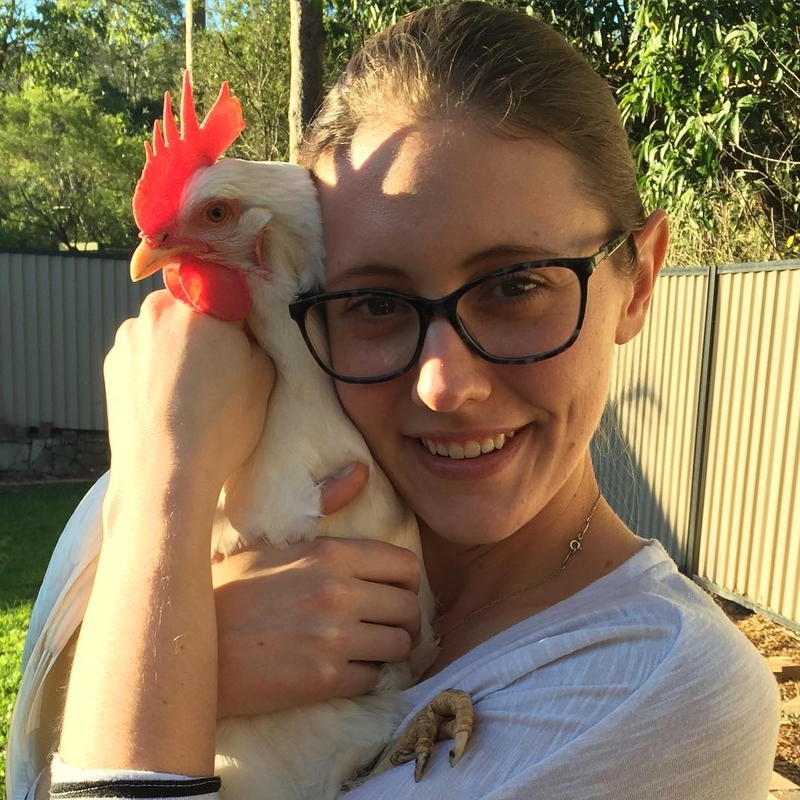 There are four veterinarians who work at the practice, who all specialist in birds and exotic pets.